VIENNA (Reuters) - Deutsche Post DHL Group and Austrian Post have agreed a long-term partnership to make parcel deliveries in Austria more efficient, the two companies said on Tuesday. Austrian Post will become a delivery partner for the German group in Austria, taking on Deutsche Post DHL Group employees there and a majority of its Austrian logistics facilities, they said, without giving a value for the deal. Deutsche Post started restructuring its parcel delivery division last year to better cope with rising costs of staff and transport. Its DHL unit in Austria employs about 220 people at 25 locations and delivered 27.6 million parcels last year, an Austrian Post spokesman said, adding that no job cuts were planned. Austrian Post holds 41 percent of the Austrian parcel market and Deutsche Post's DHL has 16 percent, according to market research firm Branchenradar. The deal could help the majority state-owned Austrian group reach its 2022 delivery target of 150 million parcels earlier than envisaged, it said. The company transported 108 million items last year. Provided the deal is approved by competition authorities, the cooperation would launch in a few months, the groups said. 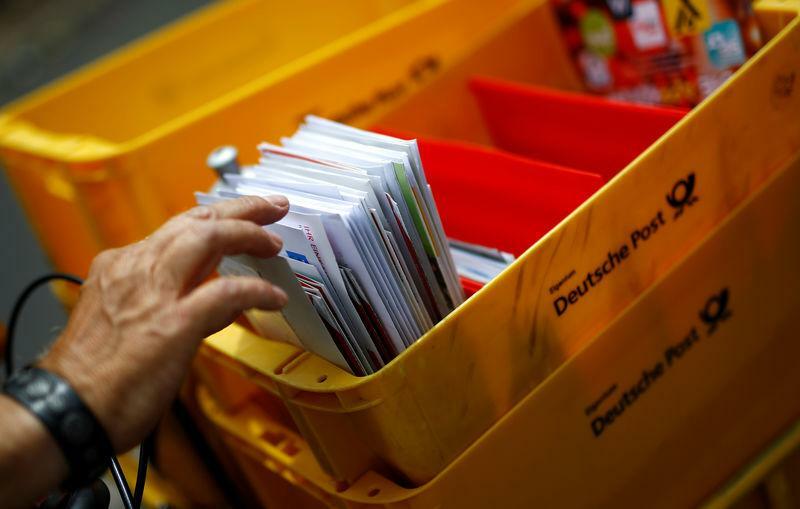 Parcels from Austrian Post customers to recipients in Germany have been distributed by Deutsche Post for years, a spokeswoman said. Deutsche Post shares were up 2.6 percent at 28.80 euros at 0851 GMT, and Austrian Post shares gained 3.25 percent to 35.56 euros.